Today we’re doing a webinar (2:00 pm EST) with PRWeb on the topic of leveraging search engine optimization and news content for improved search engine marketing performance. Registrations for this webinar were capped at 2,500, so if you didn’t make it in time, please visit the comments for this post as we’re contining the conversation there after the webinar. 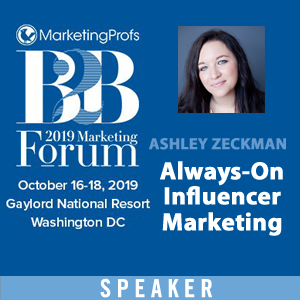 The bottom line for the presentation is that there are opportunities to gain advantage from optimizing content according to it’s purpose or goals. In the case of news content, make it easy for consumers and journalists alike to find your message on the channels and in the format they prefer. That means understanding the difference in search behaviors for consumers vs journalists and analysts doing research on companies/individuals. TopRank conducted a survey late last year with journalists and reporters to discover their use of search and social media for researching stories. We wanted to know how they found companies and individuals that were ultimately referenced in the articles and media they produce. Of the respondents (multiple answers were allowed), 95% said they use search to research past stories, 91% to research new sources and 59% to research press releases. As for the type of search used most often, 91% use standard search (Google, Yahoo), 27% use news search, 27% use search on social media sites and 18% use image search. There were more questions and answers in the survey than this which I’ll be presenting in the webinar. Using SEO as part of a Pull PR effort, ie optimizing news content, puts a company’s news content in the places where the media are looking. Pitching directly to journalists and analysts via email and phone is hit or miss. With thousands of press releases distributed each day, it’s a challenge to stand out. That’s why optimizing news content to facilitate self discovery by the media is a perfect compliment to any SEO or Media Relations effort. 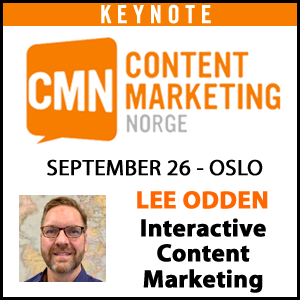 The most fundamental types of news content to optimize are press releases and online newsrooms. Since most SEO advice centers around lead generation, it’s an important distinction to make when optimizing news content for researchers vs consumers looking to buy. There are many content types that can get indexed by general and niche search engines. If something can be searched on, it can be optimized for search. This applies not only to news content but also to job listings, FAQ or Knowledgebase content and even events. The larger opportunity for companies is to realize that by treating content optimization for search holistically, can result in much greater impact than siloing SEO to specific departments or purposes. Common keyword glossaries can be leveraged in the way key messaging is leveraged with PR, marketing/sales and corporate communications. This approach makes keyword optimization a part of routine communications and not only improves search based discovery of company content, but might also improve usability. 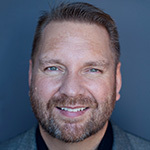 If you’re on this blog post after PRWeb webinar, I encourage you to post any questions you have in the comments below. 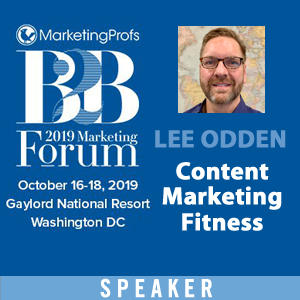 View more presentations from Lee Odden. I’m doing a project on blogging and your article caught my attention. If possible would you mind answering some of my questions regarding blogging. Just a little note, I never blog before so these questions might be too common. Why did you start blogging and did you have goal(s) set up for your blog? Have you succeed in your goal(s) so far? On average how much unique vists do you have per day? I should mention to you that if there is any question(s) you rather not answer your welcome to skip it/them. Do you think business gain more costumers if they have closer connection even if virtually? Is there a time when a company would not benefit in marketing online? More people and companiesa are marketing themselves does that means it getting harder to be unique? You have talk about the different usage of language and words in this article between consumer and journalist, could this sometime lead to misunderstanding? Thank you so much-that was great! I was really hoping to get the .pdf of the slides. Will you post a link on here? Thank you so much! Thank you Amy, we’ll post a link to the PPT deck as soon as I get a copy up to slideshare. As for a copy of the complete webinar with audio, that’s in PRWeb’s hands. Hopefully it will be soon and when they do, I will post a link to it. Very interesting information was shared. Thanks. The webinar was recorded. Is the recording accessible somewhere? Social media marketing is becoming large. Marketers are promoting their products on social networks via social network communities, channels and group. But, how does the marketer keep track of these channels and the comments? How does a marketer engage users to be more active and more passionate? Hello Dag, Tracking social media marketing can be a challenge and the beginning of an answer is social media monitoring and web analytics services. Woopra, getclicky as well as trackur, radian6 and others can help you do this. Thanks Lee for your reply. Very good. I believe though that the companies you mentioned only listens/monitors the buzz for your company. We have built Social-smart, which is a web app for interfacing to social networks. Using our app, customers are better equipped to engage and monitor customers on social network for inbound marketing. We do not do as good of a job for listening to all-around type buzz as the companies you mentioned (also include Scoutlabs and Hubspot), but we can work with them for general buzz. Social-smart (www.social-smart.com) digs deeper into social network communities. Thank you to everyone that participated. Will the slides from the webinar be posted on this website? Someone else asked this during the webinar and I am also interested in the answer. Since it hasn’t been asked here, I’ll ask. When using blog software, should it reside within the business domain? It’s helpful to host the blog as a sub directory: domainname.com/newsroom That way it retains your branding and can pass SEO link value efficiently. Using a brand new domain name for a newsroom is rarely appropriate unless there are distinct branding goals. It’s also a new web site that has to be marketed/SEO/linking from scratch. Thank you Bonnie, we’ll post the slides later today. 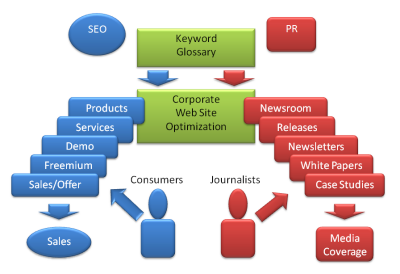 So are you saying that sales, pr, and corp comm would use different words from the glossary, or the same words, for seo? I have a question regarding news areas on websites where updates and additional information are updated periodically. If a company does not have enough fresh/relevant content for an ongoing dialogue would you still recommend setting up a blog? Hi Mel, Blog software can be used to manage content like any other CMS. It could manage a newsroom as suggested in the webinar, or it could perform an archiving function specifically for press releases, newsletters or even help build a Frequently Asked Questions (FAQ) repository. Many thanks for your webinar today – some really useful insights for our work here in Latin America with SNV. 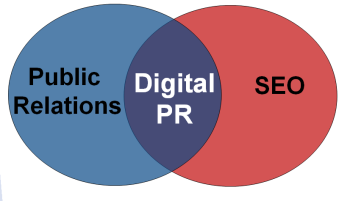 I wanted to ask whether the approach to web PR activities would change according to world region and whether you had any resources/data available for the Latin American region? That’s a great question Richard. Yes, I could imagine activities might be different in different world regions depending on consumer use of the web. No, I do not have data available for Latin America, but the big research firms might: Forrester, Nielsen, comScore. Just dropping by and happy to see this thread already 21-posts long…great job Lee! It was fun as usual! Great webinar today. Very informative. Great post. Very interesting findings by Toprank. Thank you Jiyan, Jack and Sharon. Glad you like the information – it’s a topic that’s near and dear to TopRank’s marketing & PR consulting practice. The slideshow presentation was like a wow to me. Can I publish this slideshow on my own personal site? Great Webinar! I hope I am now on your list for notices of future webinars. – How do you go about finding keywords that are ranking well? – What do you think about using PR.com’s more economic press release distribution service? Our main goal right now with press releases is to increase traffic to our site. Do you think PR.com could help accomplish that assuming we have some strong keywords in our press release? Thank you Joanna. For keyword research you can check out this post that lists some of the best keyword research tools. As for pr.com, we often submit releases via pr.com right along with other wire services like prweb. I am not getting sound from the webinar posting and the slides ae going very fast — is it just me? Hi Lee, I’m getting sound from the webinar posting, but the slides do go fast for me too when on slideshow mode. Great article with very useful information.